We were on our last safari in Kaziranga National Park. Our focal point of this safari was to spot the endangered Bengal Tiger that we had narrowly missed on the previous two safaris. With renewed vigor we kept our search on for the elusive cat. While we waited for the Tiger at the area where it was most frequently sighted, we did a quick drive up and down the road in the hope that we might also catch it crossing the safari tracks. But the jungle had other plans for us. 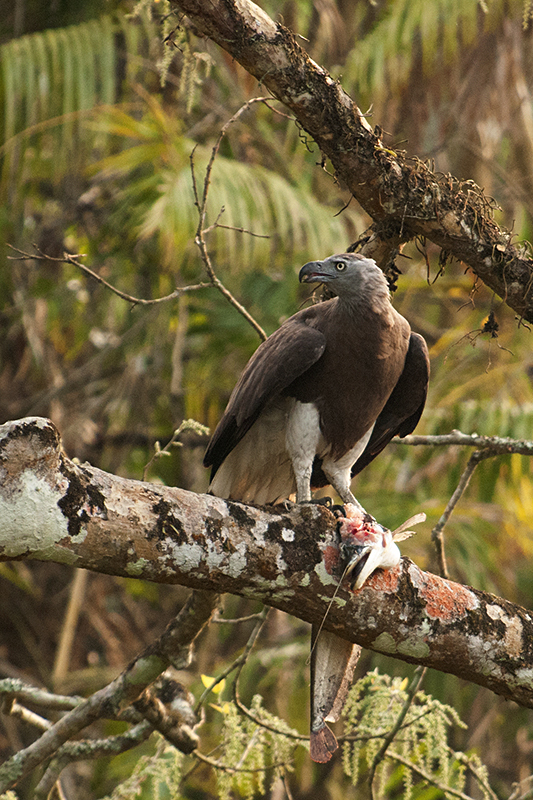 Though we did not find a Tiger, we spotted this Grey-headed Fish Eagle sitting on a low branch. When we stopped to take a look, it took flight and that’s when we noticed that it had a big fish in its clutches. We took a few record shots as the bird flew by. Luckily for us the Eagle came around and settled on a tree, well outside the 600mm range of my 300mm f2.8 lens with 2x TC. 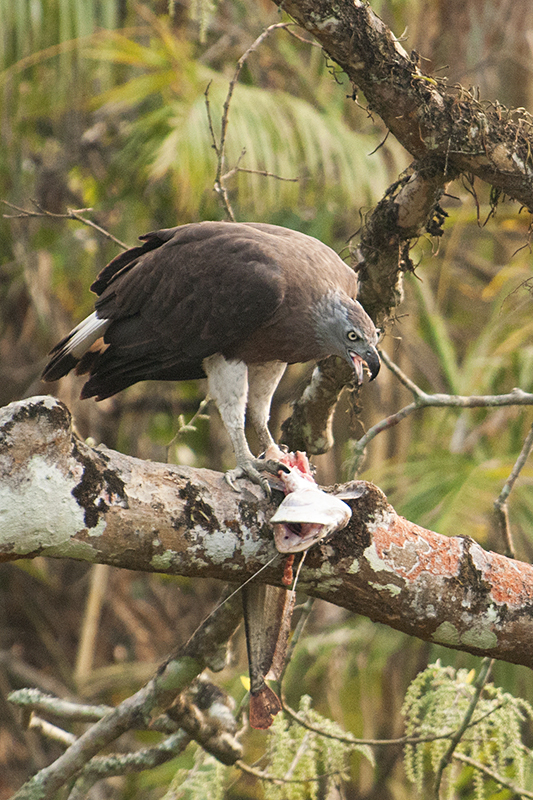 No sooner did it settle down and started eating its supper, another Grey-headed Fish Eagle flew by and perched itself on a nearby tree disturbing our subject. 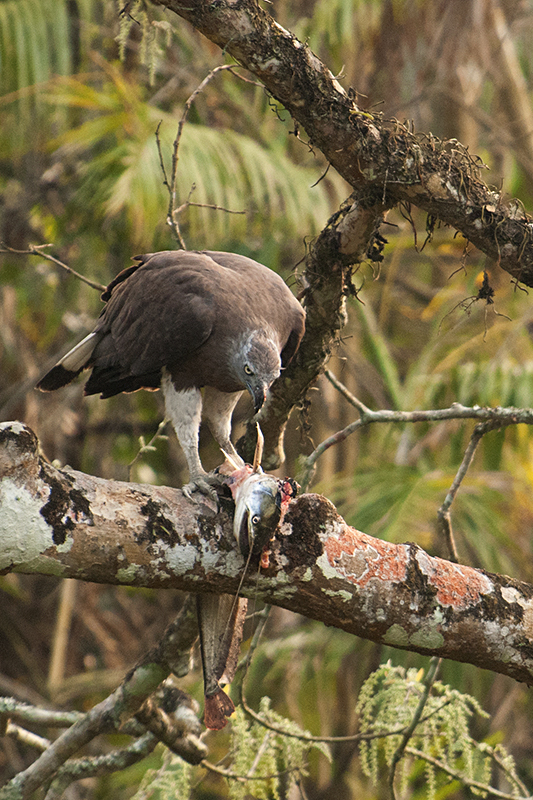 It took a nervous glance at the intruder and spread its wings to cover the fish, making a beautiful feature image. 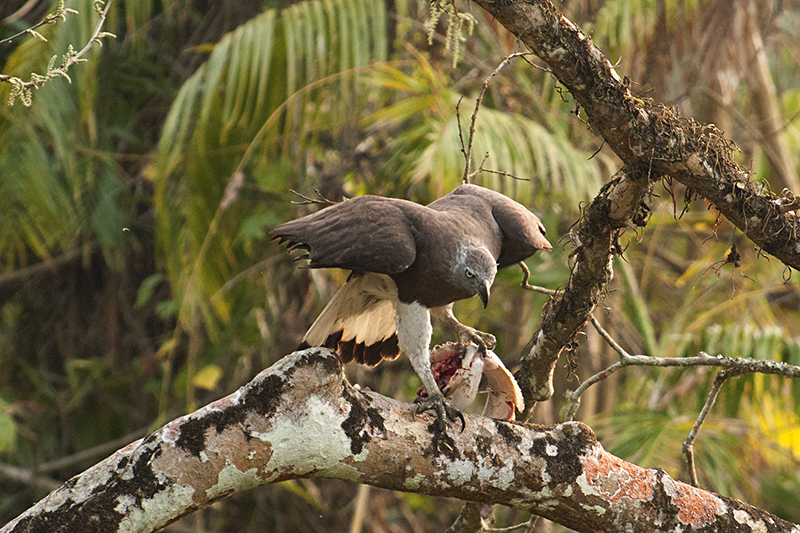 It then changed its position and started eating its meal, giving us some lovely images. Though light was not that great, and the distance was a little too far for my camera setup, we took as many record pictures as possible. 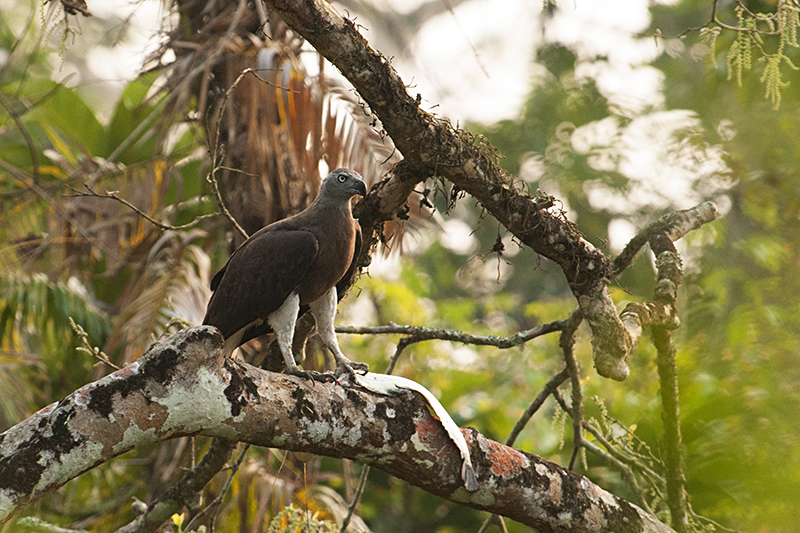 Finally, we decided to let the Eagle finish its meal in peace and went searching for the elusive Bengal Tiger. We finally spotted the big cat cross the safari track and have shared the sighting in an earlier post here.